During peak tourist season every year thousands of tourists are robbed. In large gatherings of people, life is especially easy for thieves. A short, unnoticed grab into your handbag and you are without money, documents and other valuables. Going to the police is time consuming and involves a lot of hassle. Experience shows that a secure way to store cash and credit cards will save a lot of trouble! To prevent theft on holidays, Outdoorer has developed the Outdoor Money Safe money belt, which can be worn under your clothes. 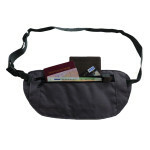 The Money Safe is a money belt for globetrotters whom it will loyally serve, even for short trips. If you want to buy a good money belt, you’ll be in good hands with the Money Safe! You can easily order the Money Safe money belt at Amazon. 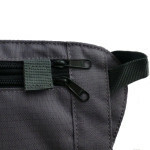 The Money Safe money belt by Outdoorer is worn under clothing. It is particularly flat to prevent the formation of tell-tale dents under the shirt. With its help, you can not only keep folded notes safe, but credit cards, travellers‘ cheques and other important documents can also be well-protected against thieves. The body side of the Money Safe is soft for a comfortable fit. 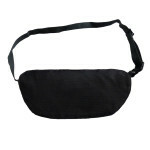 To keep the Money Safe money belt nice and tidy, it is equipped with two separate compartments. Thus, money and credit cards can be kept separately but are nevertheless always close at hand. The compartments are closed with two high-quality zips from YKK. For additional security, the zips can be held with Velcro. 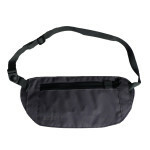 The Money Safe money belt has an extra strong and adjustable belt. You can adapt it to your figure, so that the belt stays securely in place. It closes with a practical clip closure. The clip system is made of plastic. Thus you don’t need to take off the Money Safe when going through airport security. The Money Safe money belt is made of 420D rip-stop polyester. It is exceptionally durable and tear-resistant thanks to the special weaving technique in which thicker yarns are incorporated into the thinner cloth. The result is a honeycomb structure. Rip-stop fabric was chosen mainly due to its high tear-resistance, as the money belt shows when put to the test. So that thieves do not become aware of the Money Safe, use the money belt to store only your reserve cash, credit cards or documents. Money with which you pay for little things is best kept in a small purse or loose in your handbag or pocket. Where can you order the money beld Money Safe? The Money Safe is available at Amazon.